Tarwhine commonly form schools in coastal waters of eastern and western Australia. They are distributed from Queensland to the Gippsland Lakes in Victoria and from Albany to Coral Bay in Western Australia. 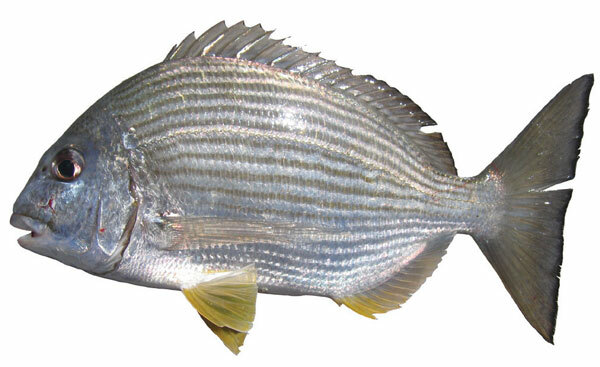 They are occasionally taken as by-catch with yellowfin bream and black bream. Location Sth eastern area of East Australia & West Australia. Tarwhine is a delicious fish, usually cooked whole. Tarwhine are a much prized and highly rated food fish, although some people would argue they are somewhat over-rated in this department. Tarwhine from lower estuaries, harbours and the open ocean have moist, while flesh with a clean, sweet flavour. Upper estuary or freshwater dwelling fish often exhibit slightly softer flesh, and can have a slightly weedy or muddy taint at times. Sold mainly whole (gilled and gutted) and occasionally in fillet form (usually skinned). In whole fish look for lustrous skin, firm flesh, and a pleasant, fresh sea smell. In fillets, look for white, firm, lustrous, moist flesh without any brown markings or oozing water and with a pleasant fresh sea smell. Average yield is 35%. Has a mild, sweet flavour, low oiliness and moist, soft-medium flesh. Estuarine and river fish can have a slightly coarse, muddy or weedy flavour. Bream, hussar, morwong, redfish, Flathead, whiting.